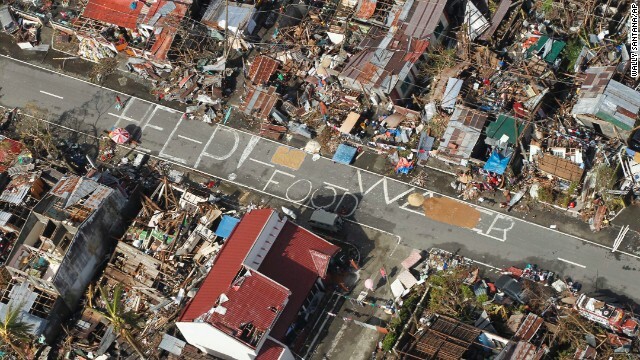 Are you in the affected area? 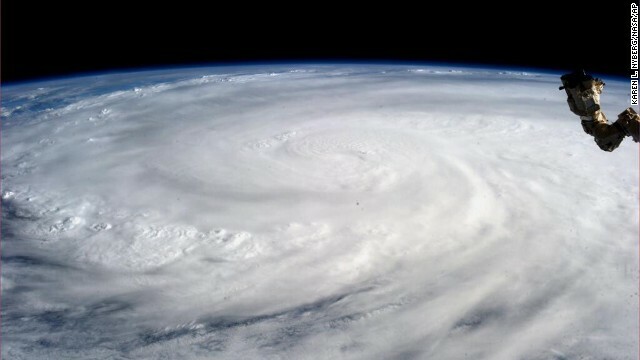 Send us images and video, but please stay safe. 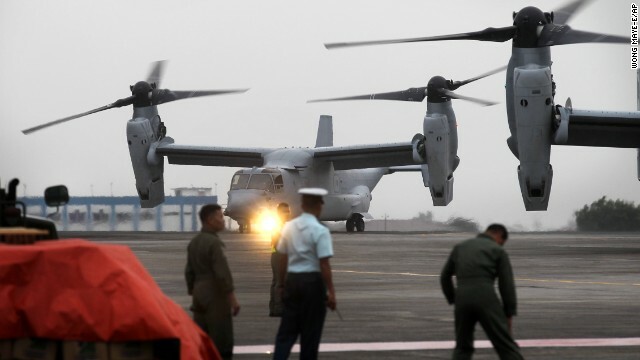 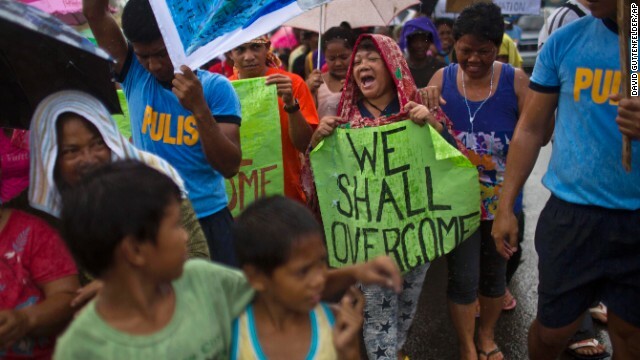 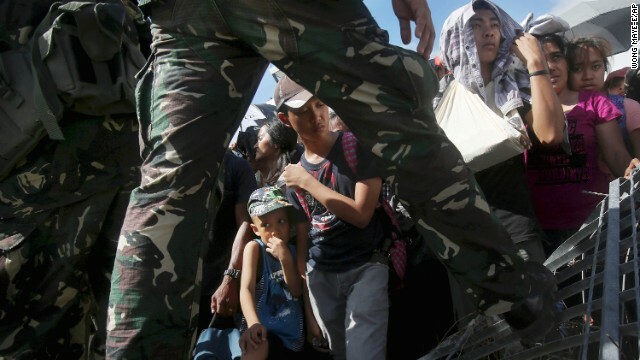 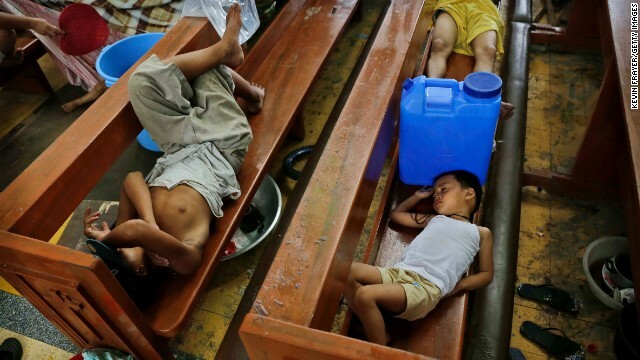 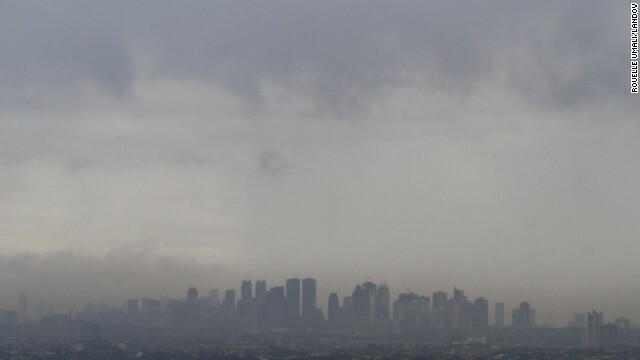 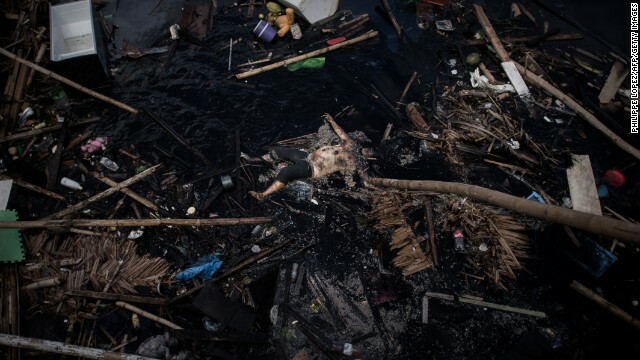 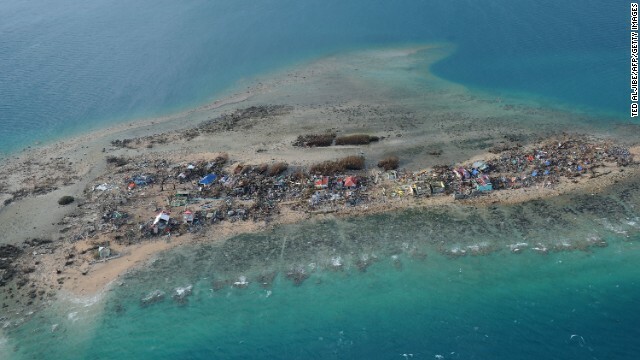 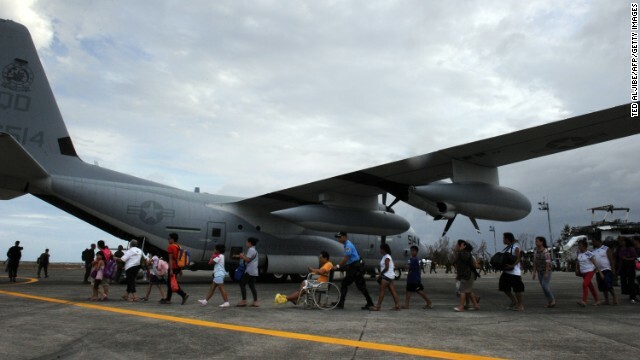 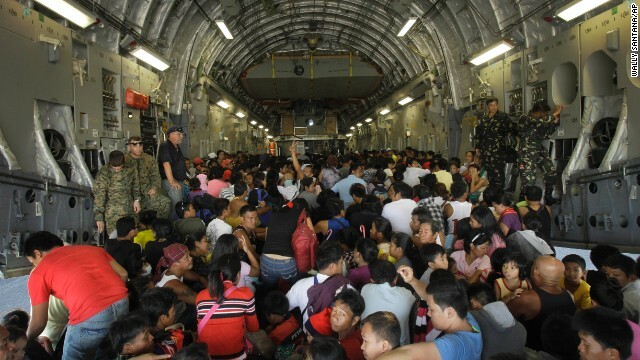 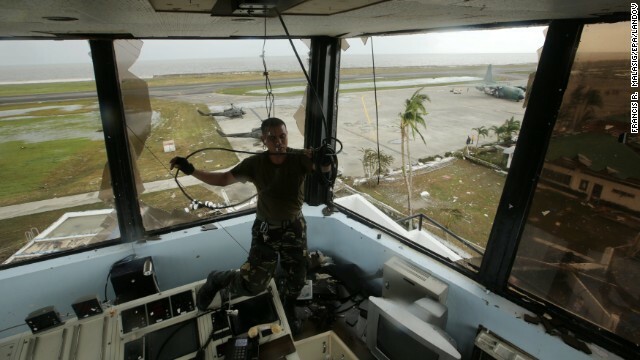 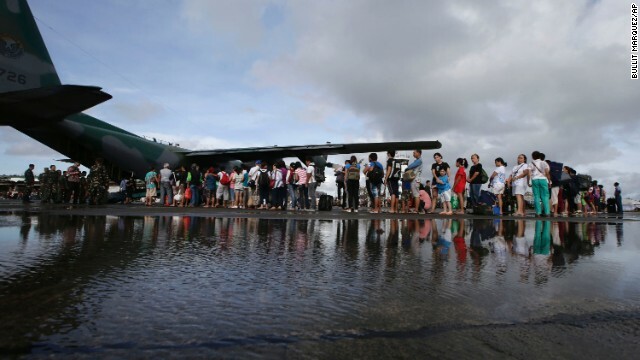 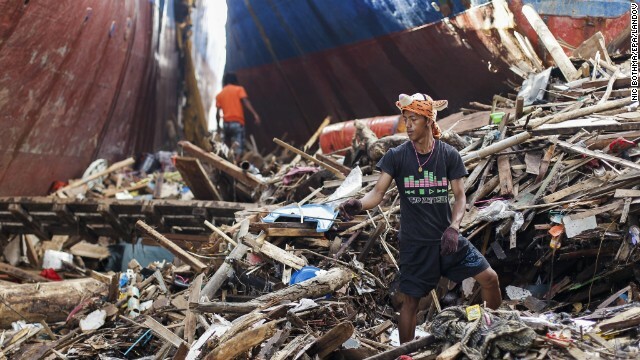 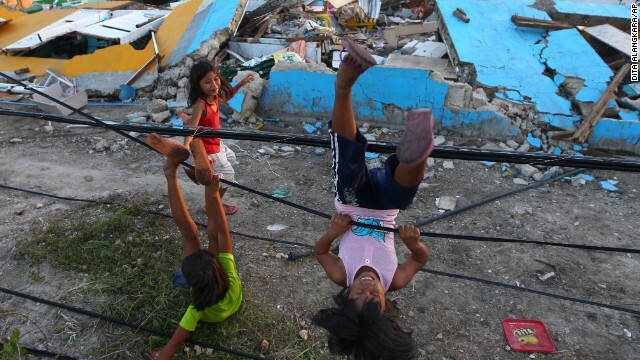 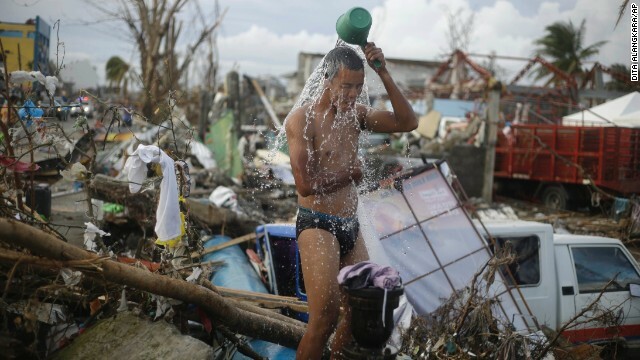 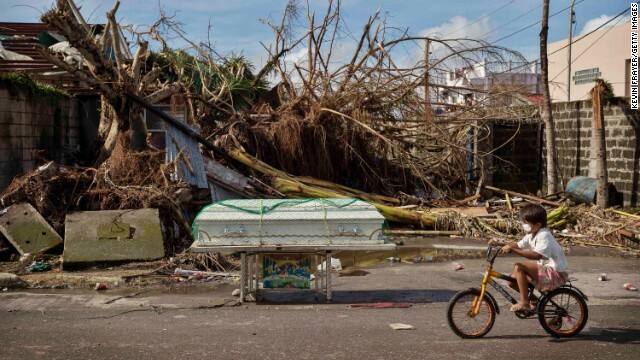 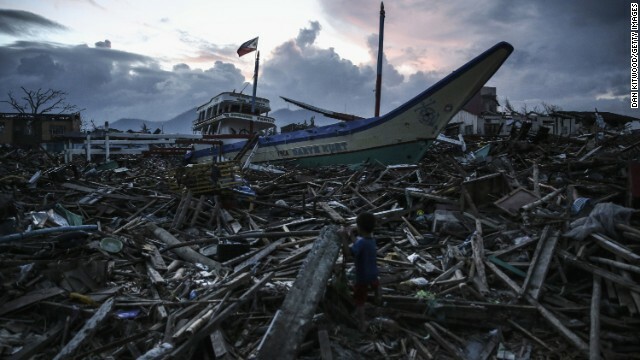 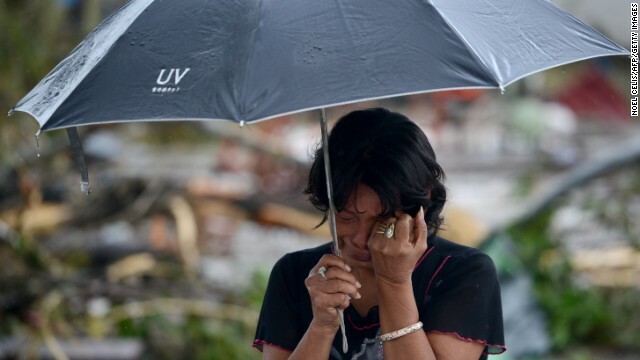 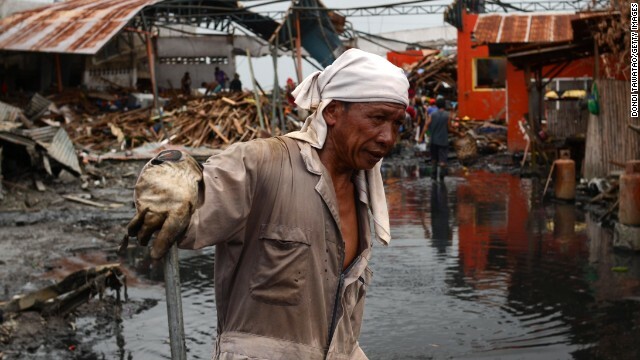 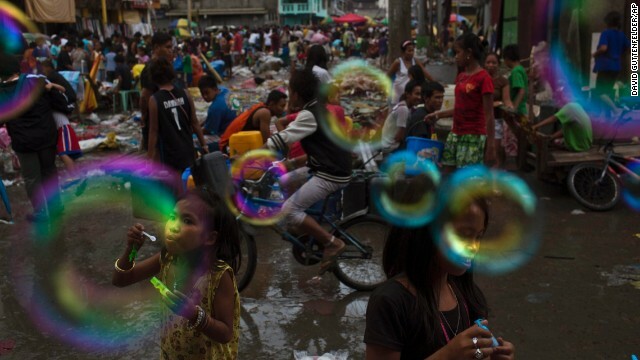 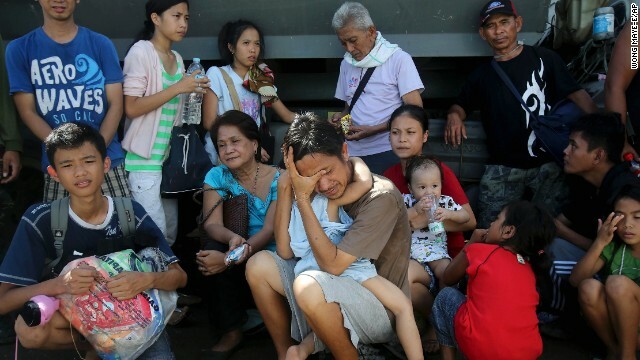 (CNN) -- With 25 million people in its path, Super Typhoon Haiyan -- one of the strongest storms recorded on the planet -- smashed into the Philippines on Friday morning. 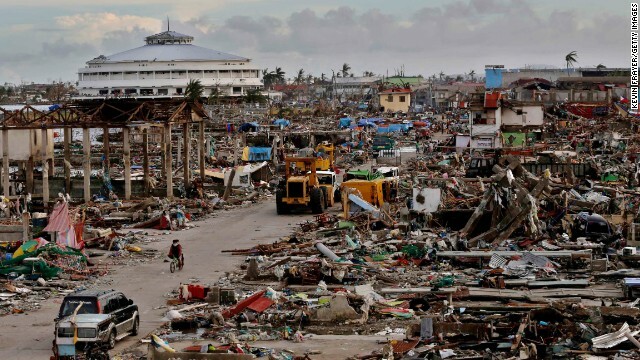 With sustained winds of 315 kph (195 mph) and gusts as strong as 380 kph (235 mph), Haiyan was probably the strongest tropical cyclone to hit land anywhere in the world in recorded history. 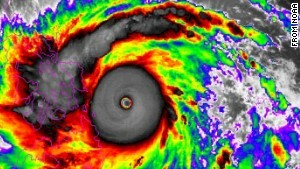 It will take further analysis after the storm passes to establish whether it is a record. 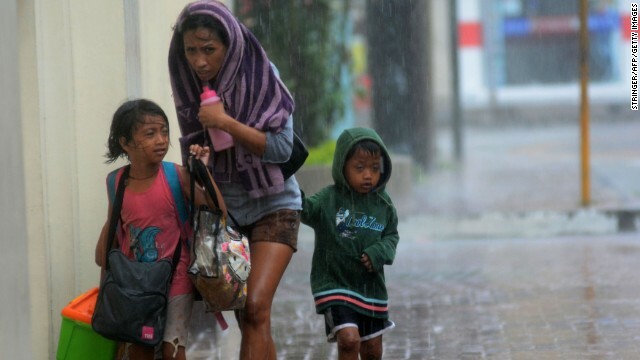 As the monster storm spun toward the Philippines on Thursday, President Benigno S. Aquino III warned the nation that it faced a "calamity." 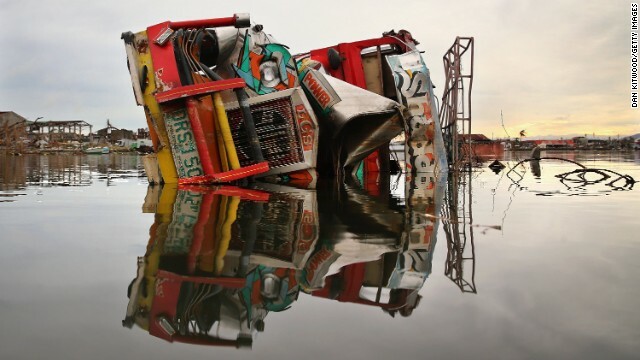 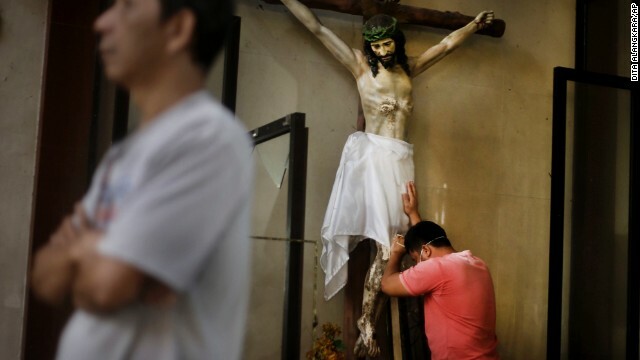 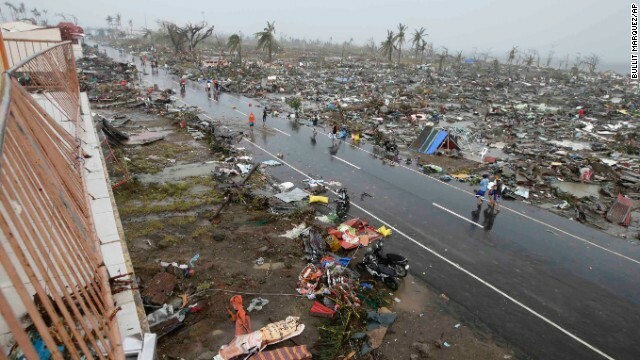 Haiyan, known in the Philippines as Yolanda, appeared to retain much of its terrifying force as it moved west over the country, with sustained winds of 295 kph, gusts as strong as 360 kph. 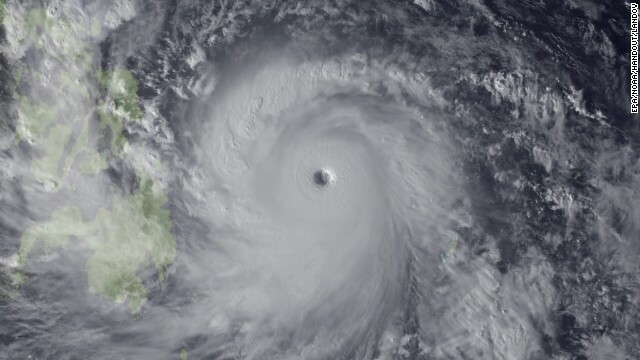 Haiyan's wind strength makes it equivalent to a Category 5 hurricane. 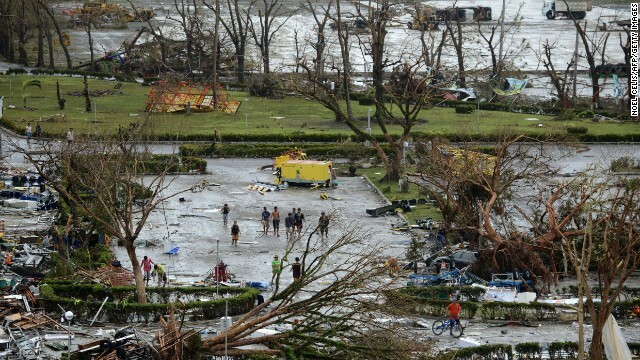 Video footage from on the ground in the Philippines showed howling winds bending palm trees and whipping debris down deserted streets. 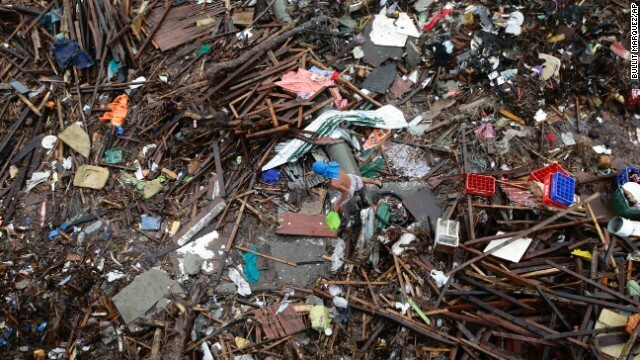 "We don't know the extent of the damage," Mercaod said. 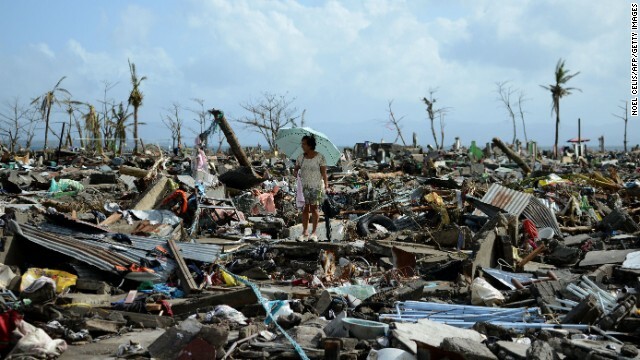 "We are trying to estimate this. 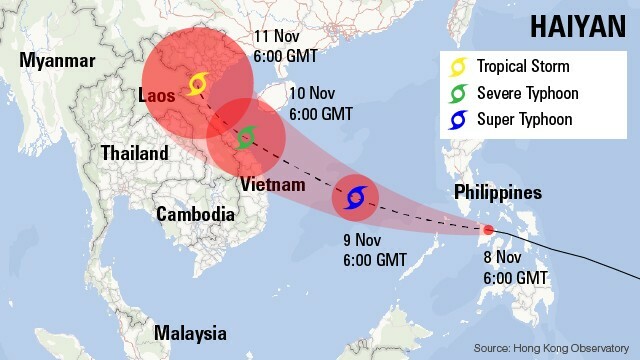 We are prepared, but this is really a wallop." 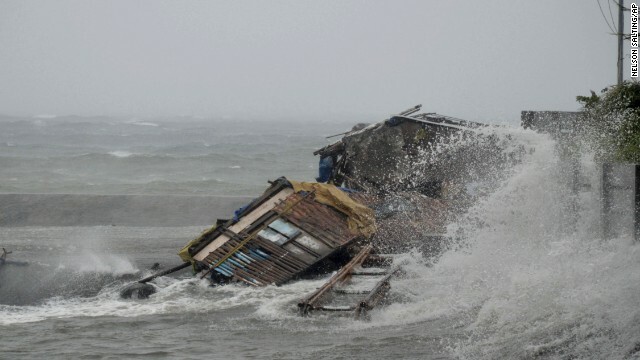 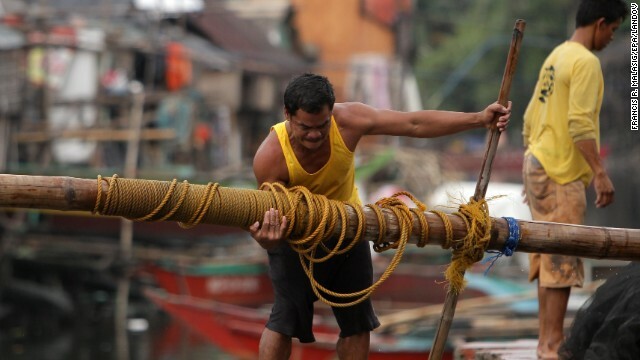 The typhoon was forecast to churn across the central Philippines during Friday and part of Saturday before exiting into the South China Sea. 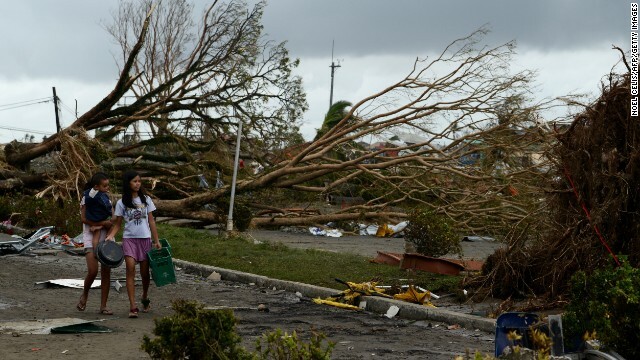 The storm is expected to weaken slightly as it moves across land, but forecasters predict that it will maintain super typhoon intensity throughout its passage over the islands. 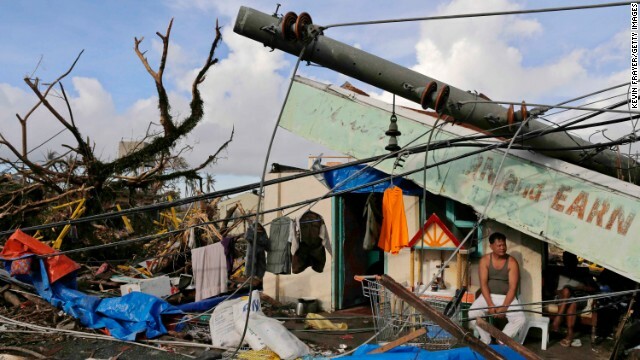 A super typhoon has surface winds that sustain speeds of more than 240 kph for at least a minute, according to the U.S. National Oceanic and Atmospheric Administration. 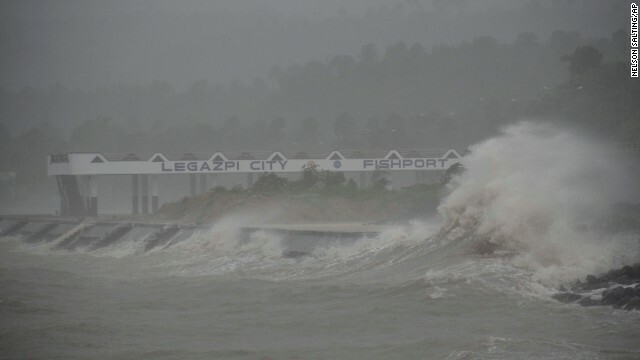 Haiyan is so large in diameter that clouds from it are affecting two-thirds of the country, which stretches more than 1,850 kilometers (1,150 miles). 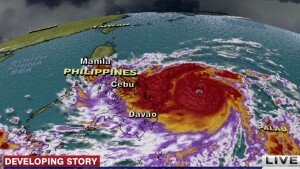 Tropical-storm-force winds are extending 240 kilometers from the typhoon's center. 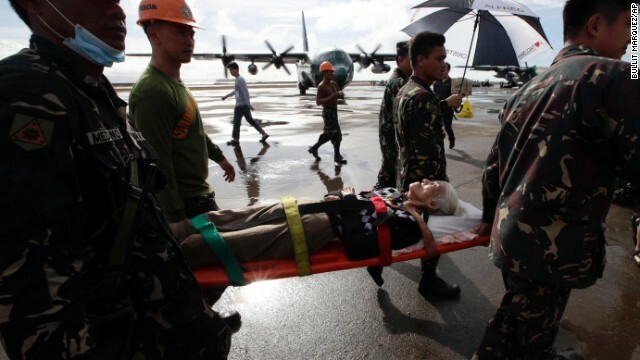 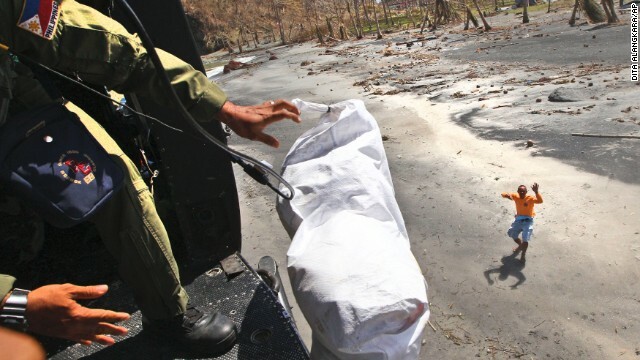 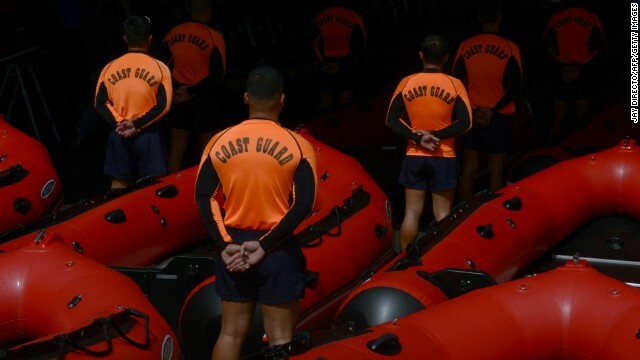 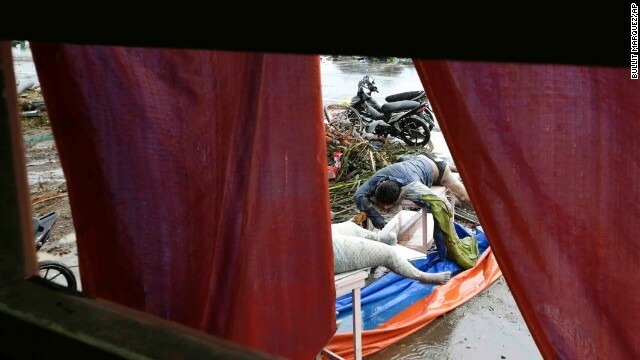 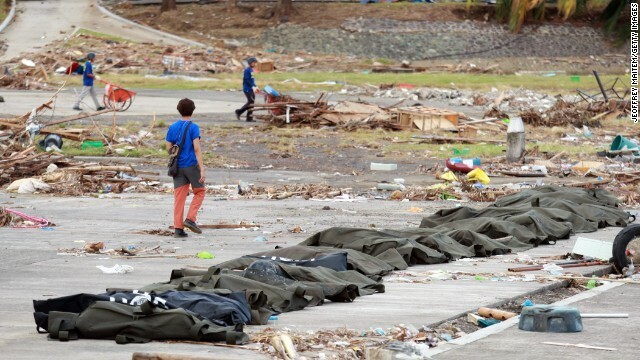 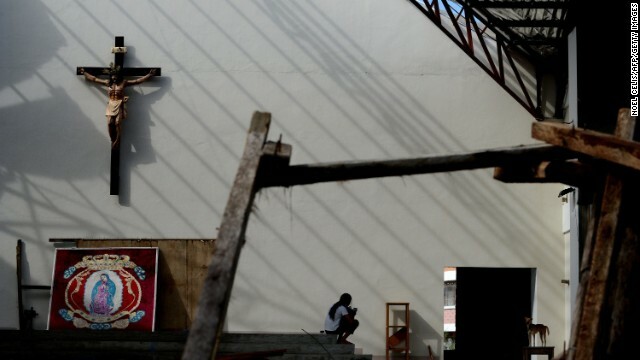 The National Disaster Risk Reduction and Management Council said Friday that one person had been confirmed dead as a result of the storm in the eastern province of Surigao del Sur. 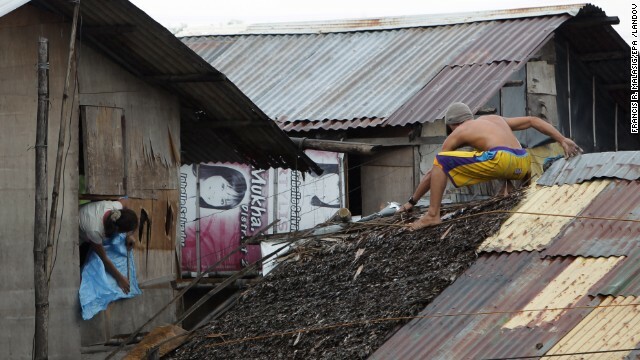 Authorities in Cebu said they were unable to establish whether a woman who was hit by a falling coconut tree in the north of the province was dead or injured. 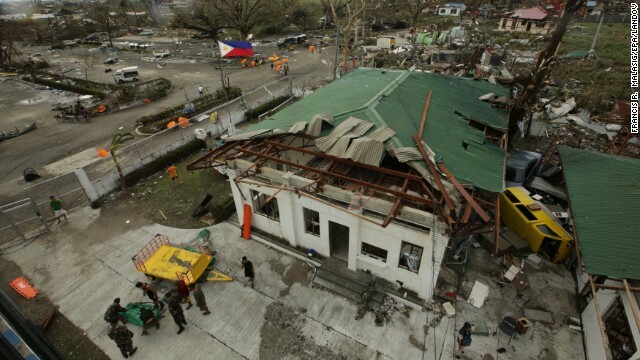 Neil Sanchez, a provincial disaster management official, said authorities had lost contact with the town where the incident happened. 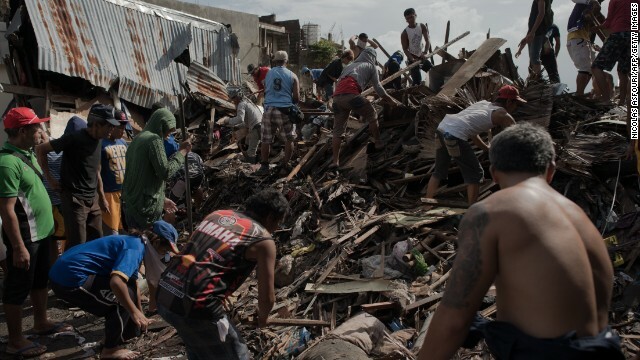 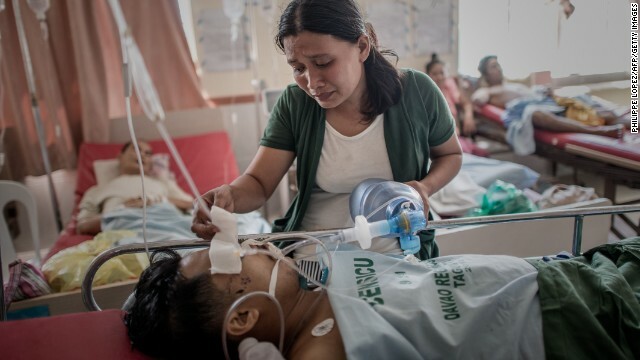 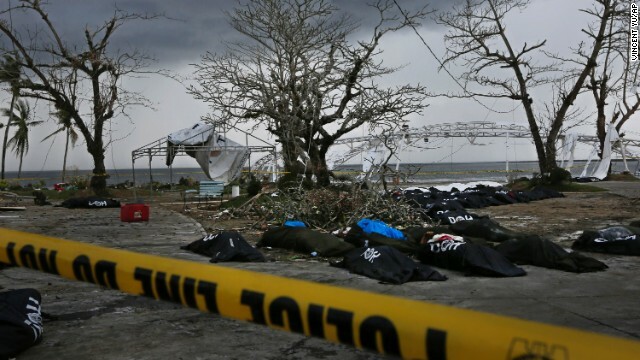 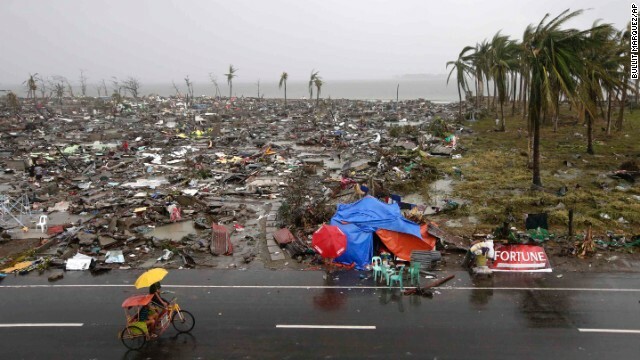 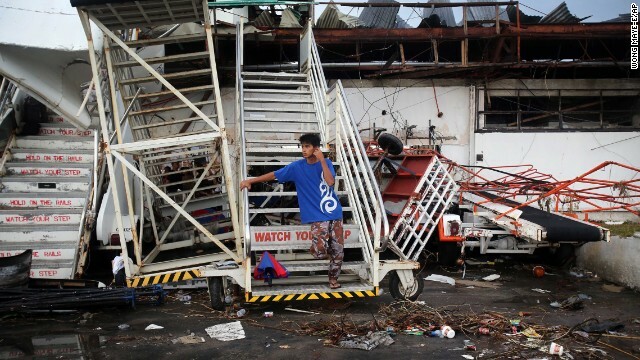 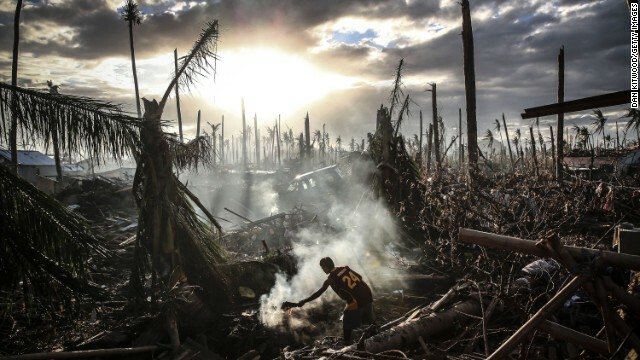 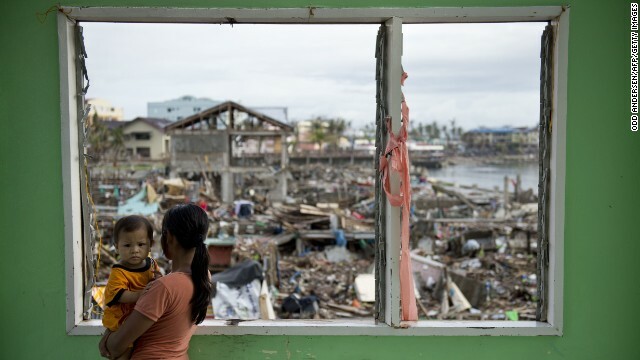 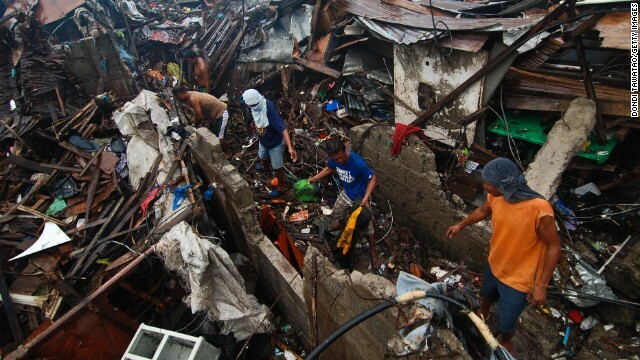 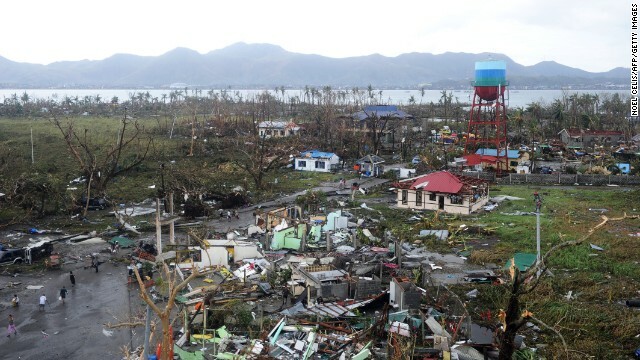 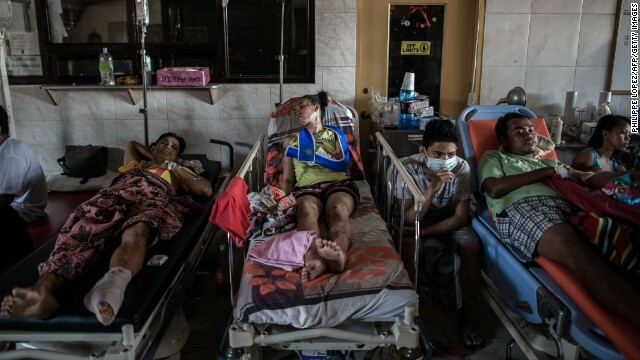 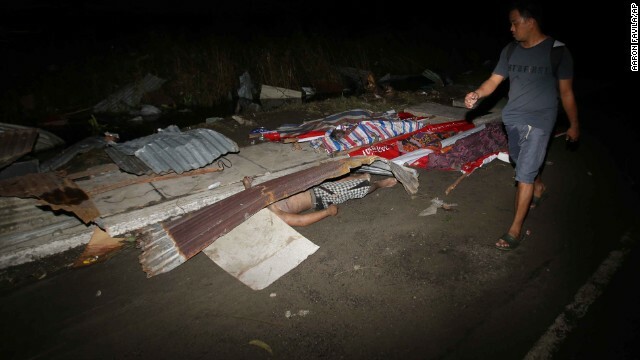 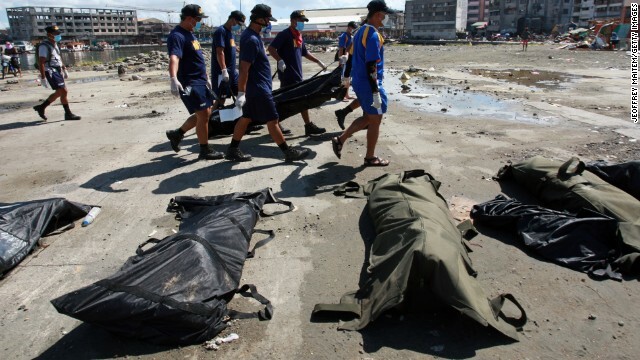 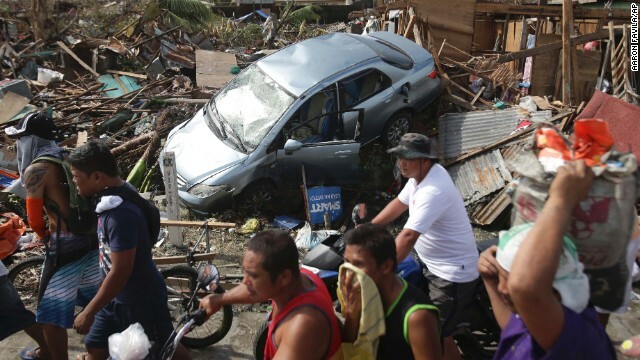 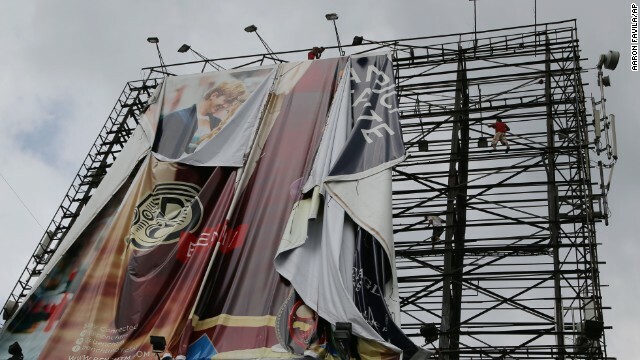 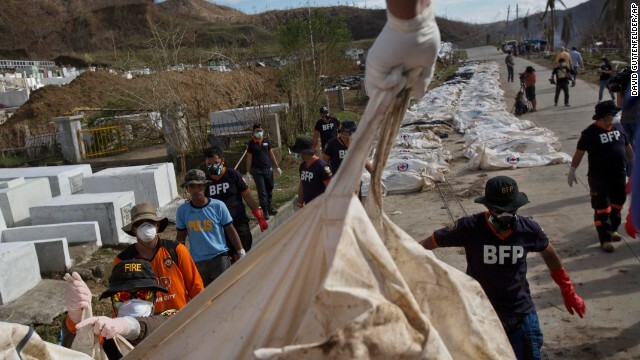 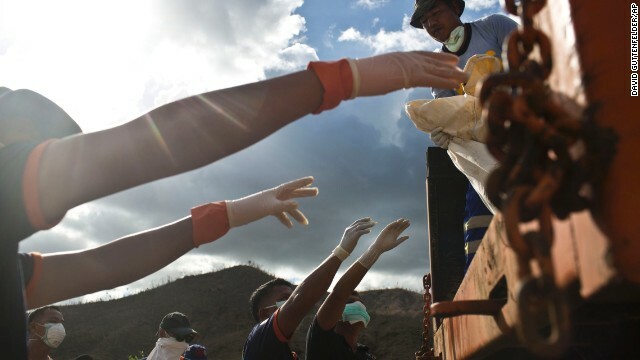 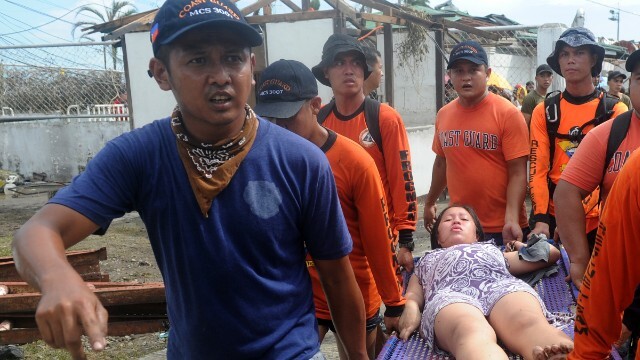 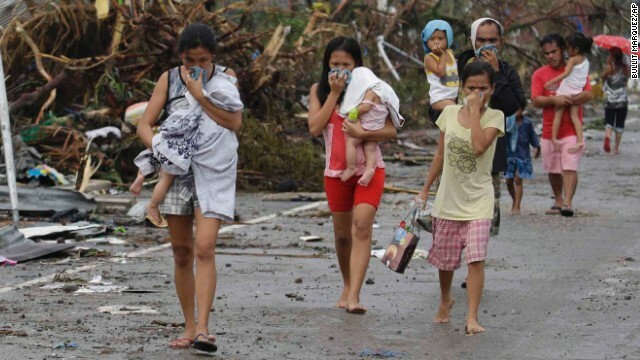 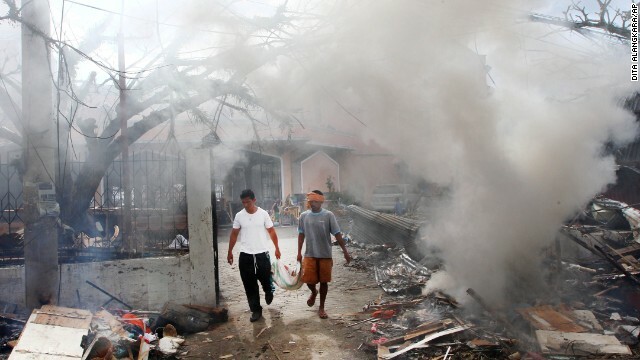 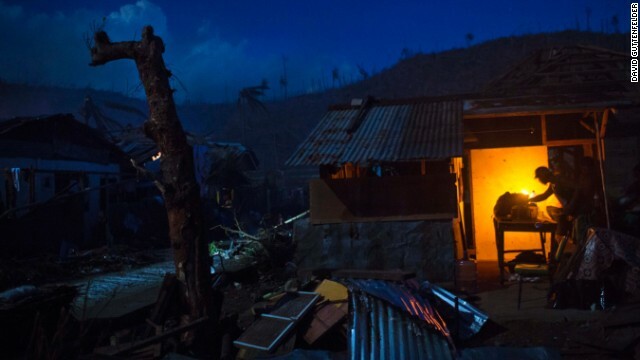 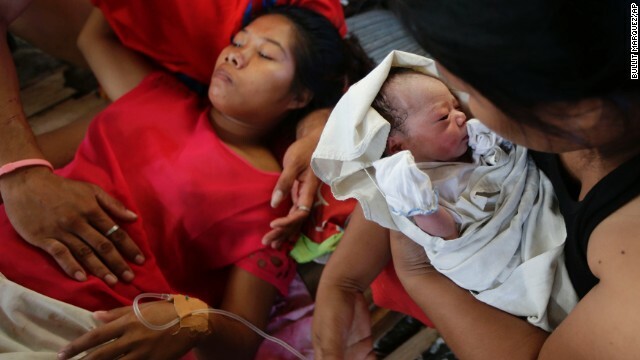 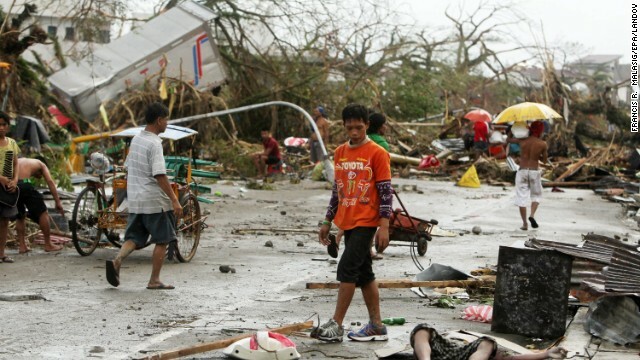 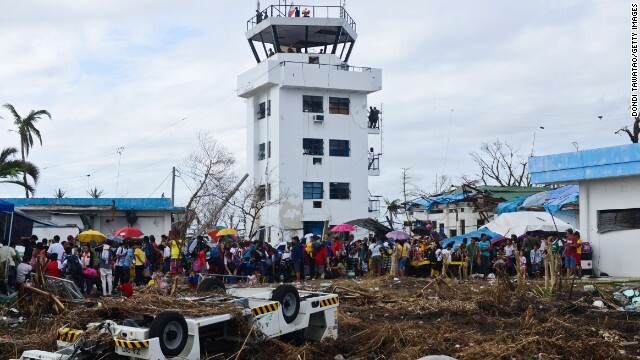 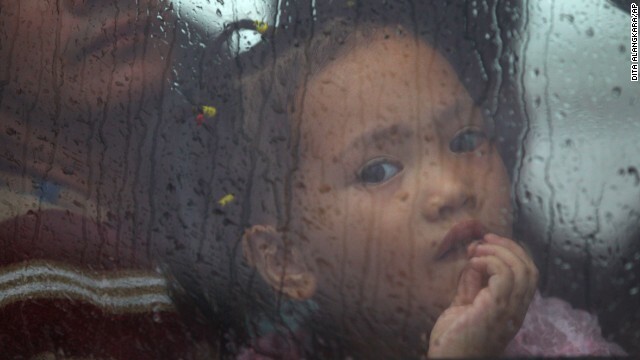 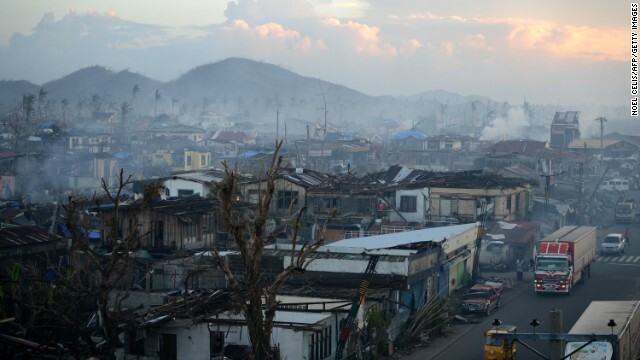 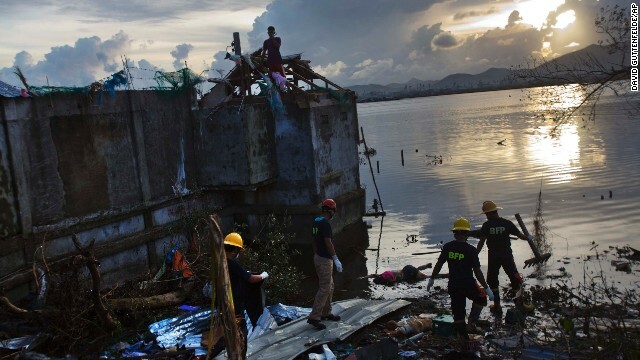 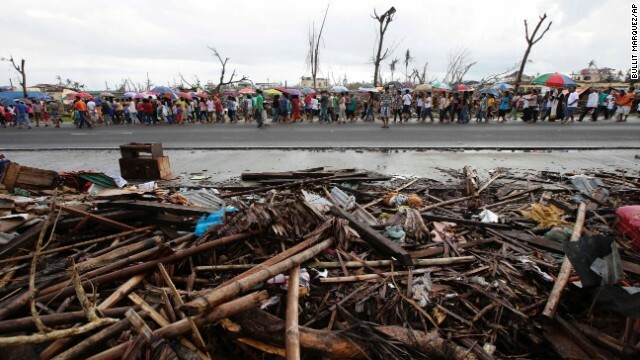 On Thursday morning, a day before the storm arrived, a 1-year-old child and another person died after they were hit by debris from a tornado in the southern province of Cotabato, authorities said. 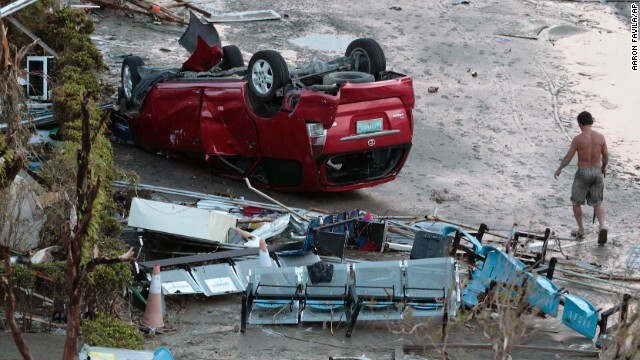 It was unclear whether the tornado was related to the approaching typhoon. 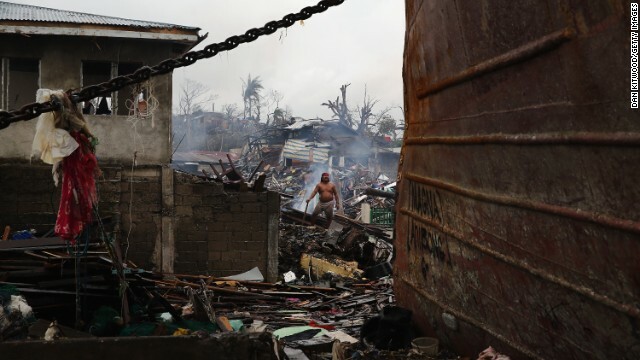 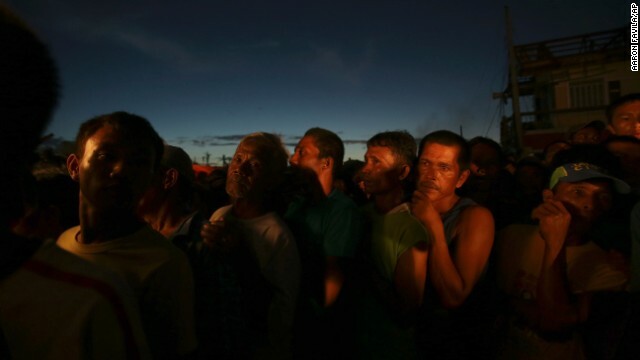 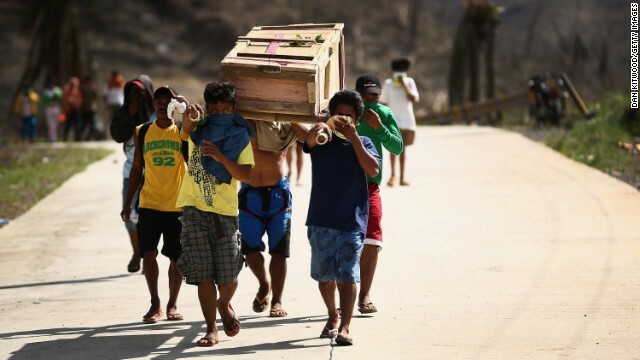 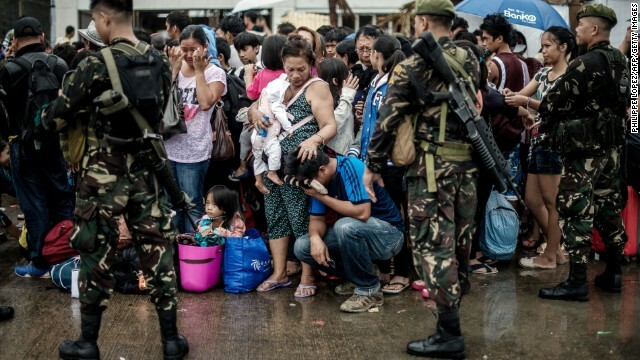 In a speech Thursday, Aquino warned residents of the "calamity our countrymen will face in these coming days." 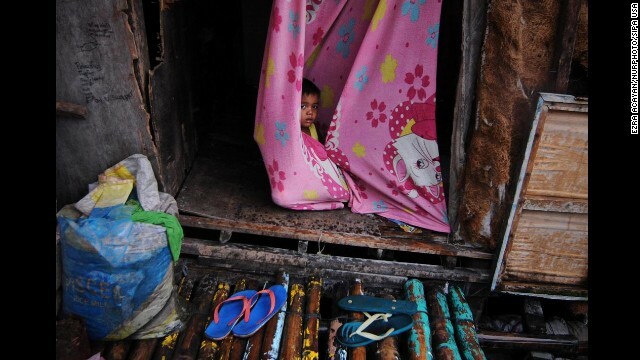 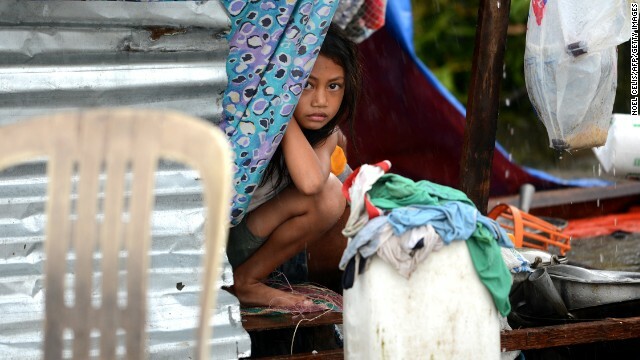 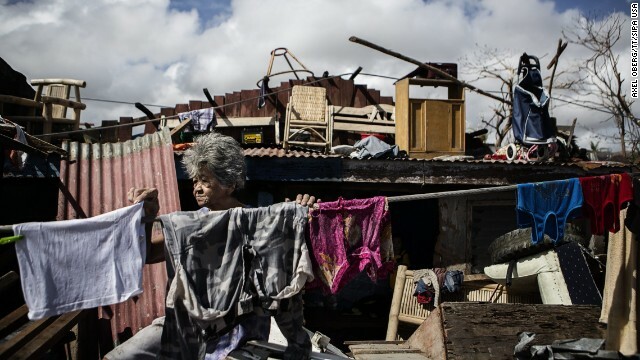 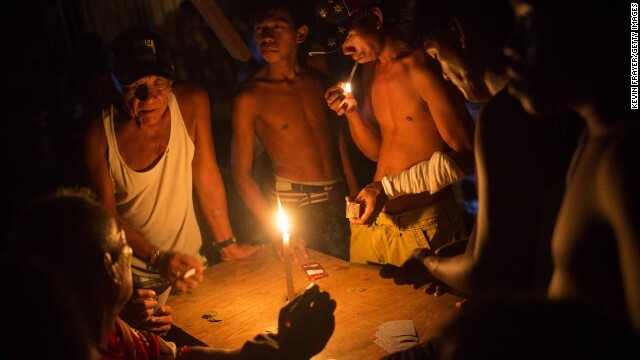 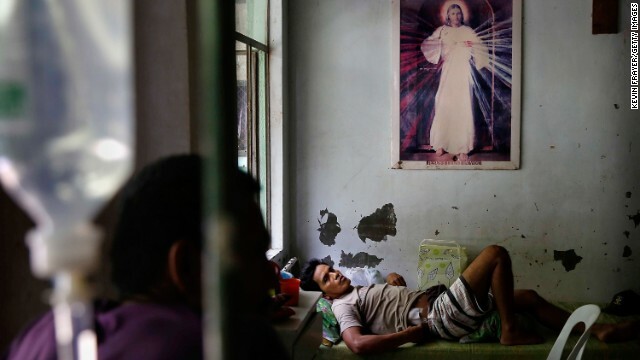 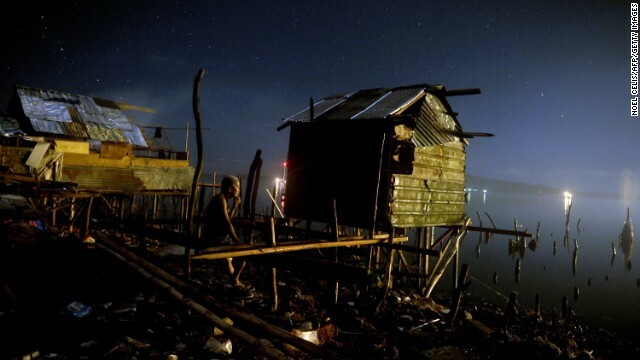 Some of the most vulnerable people are those living in temporary shelters on the central Philippine island of Bohol. 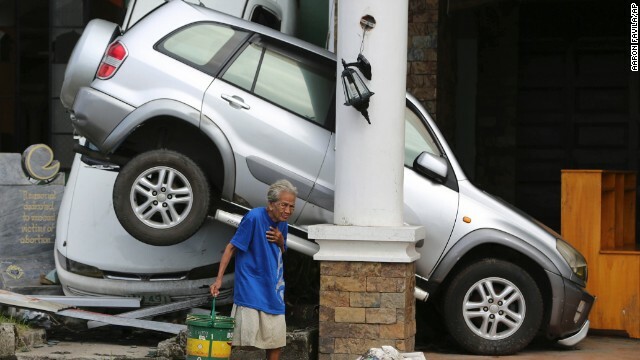 Last month, a 7.1-magnitude earthquake hit the island, which lies close to the typhoon's predicted path. 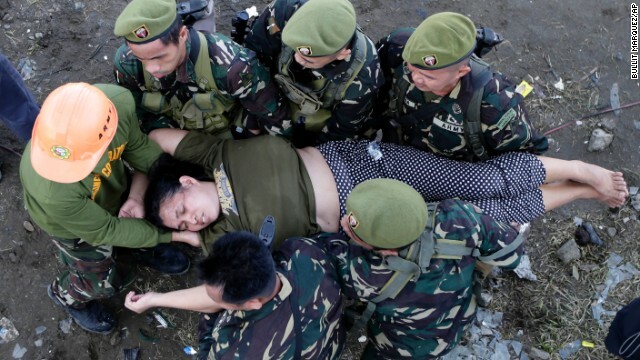 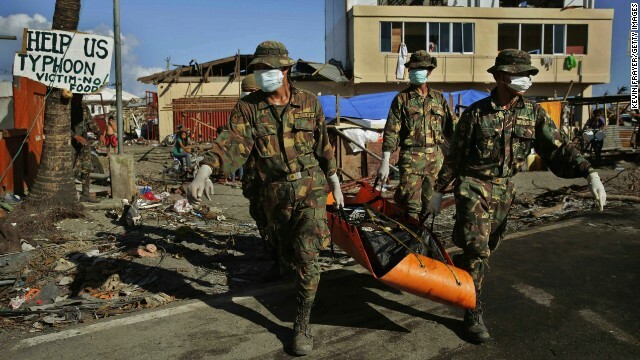 The quake killed at least 222 people, injured nearly 1,000 and displaced about 350,000, according to authorities. 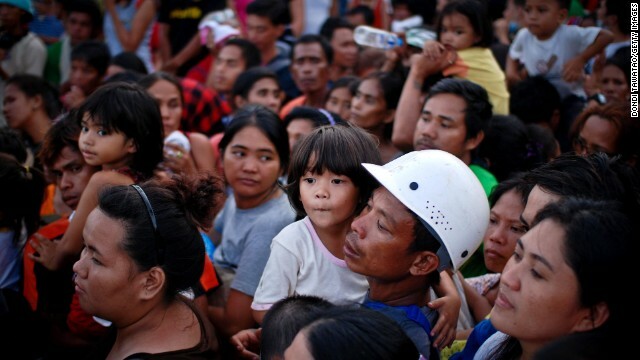 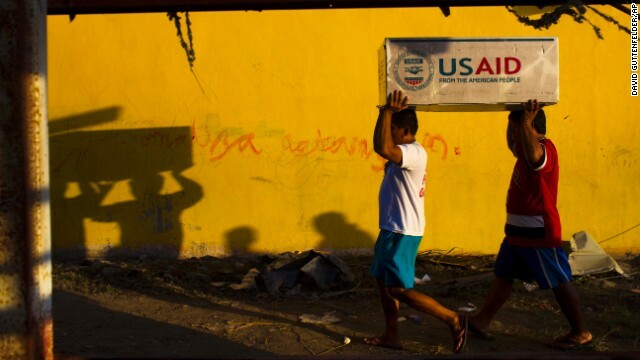 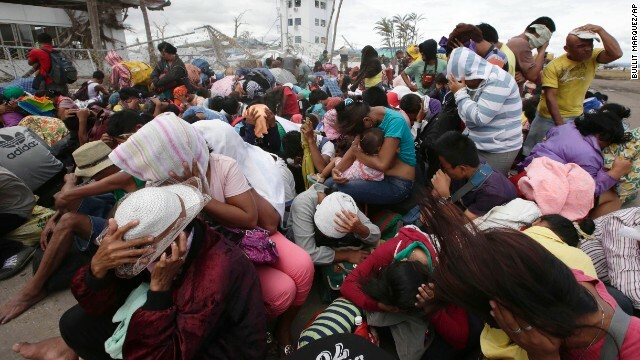 "This has been a quake hit area, for the past three weeks people are still experiencing aftershocks," said Aaron Aspi, a communications specialist in Bohol for the charity World Vision. 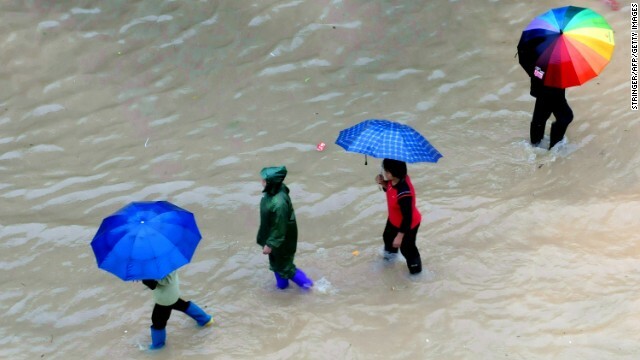 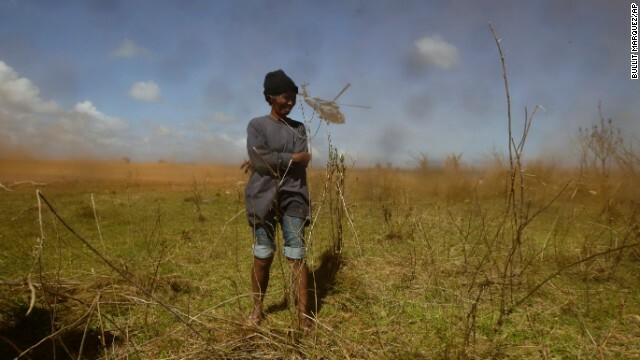 "and at the same time these rains are giving them a really hard time." 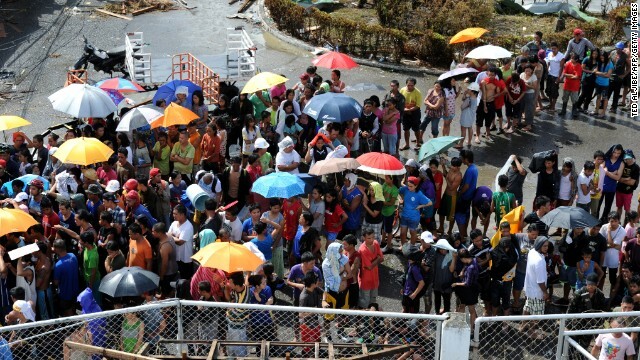 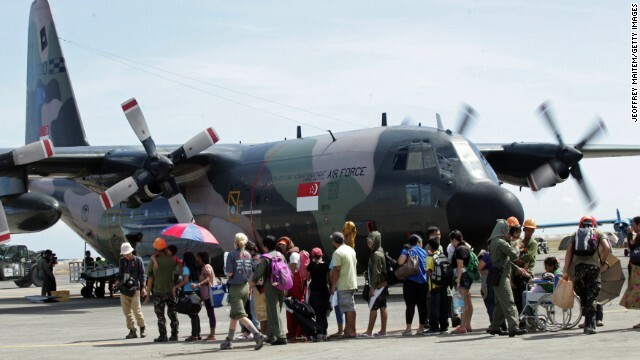 "Most of them are advised to evacuate to sturdy structures," he said. 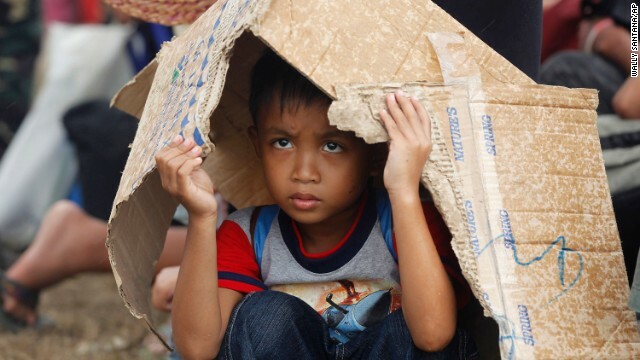 "But there are a few thousand displaced families in quake hit areas that are still staying in makeshift tents and now that the super typhoon is here it is really heart breaking to see them struggling." 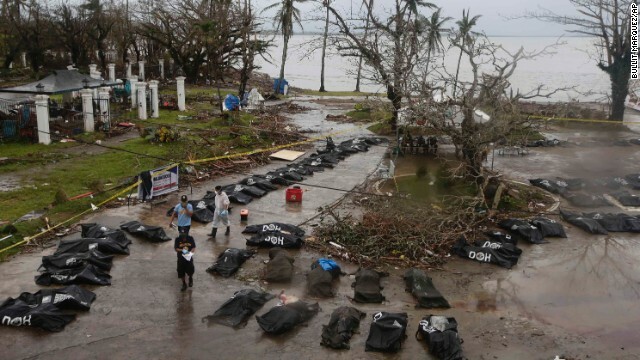 Aspi said many peoples' tents are drenched but they still too afraid to relocate to enclosed structures because of the aftershocks. 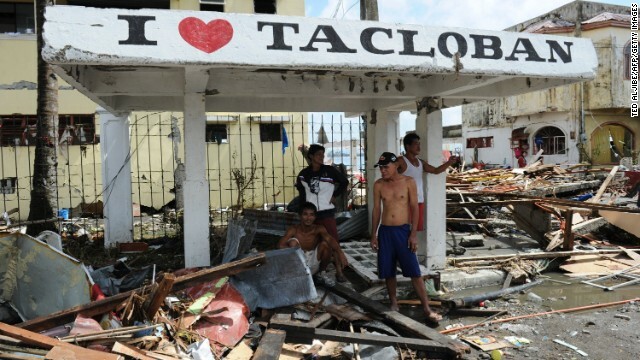 Another island in the storm's likely trajectory is the popular beach resort of Boracay. 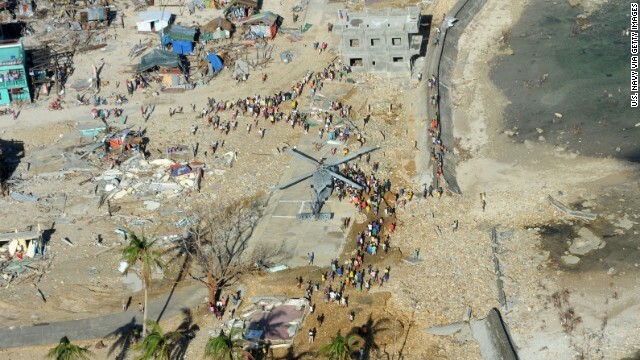 Some tourists there were cutting their vacations short to get away from the possible danger. 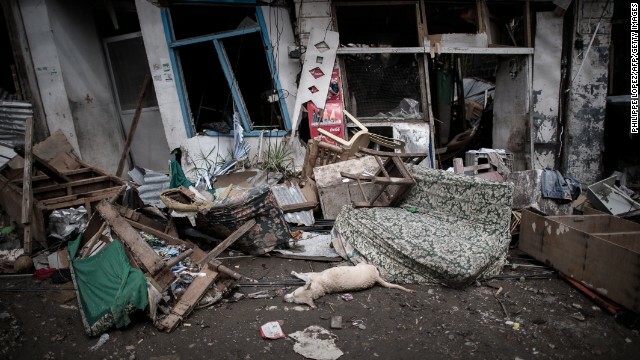 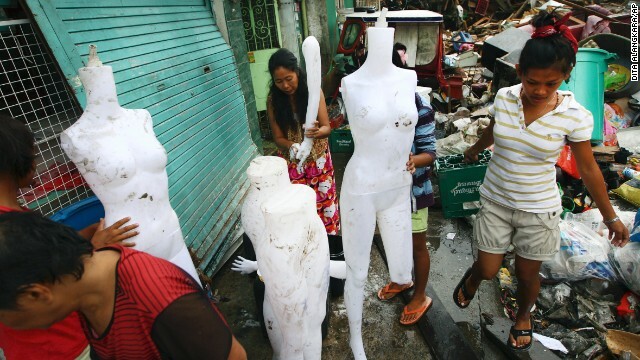 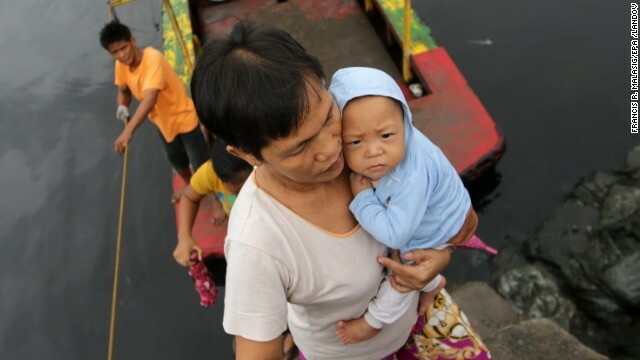 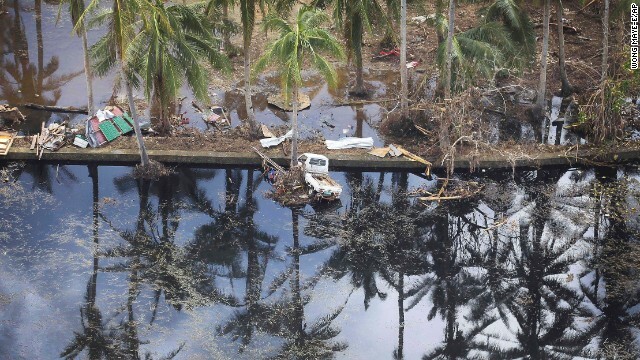 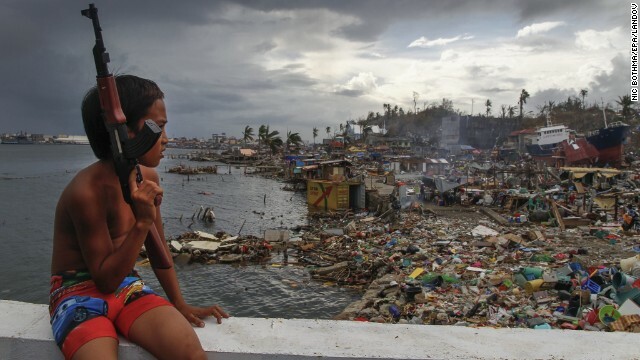 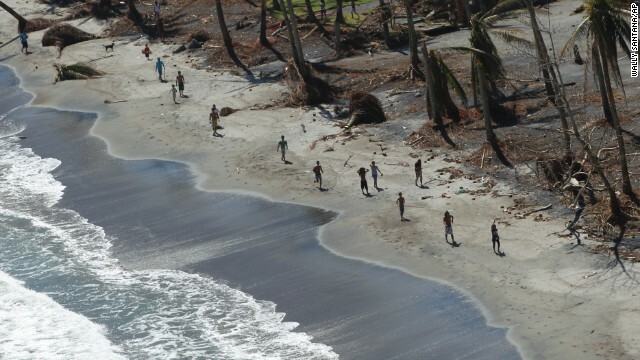 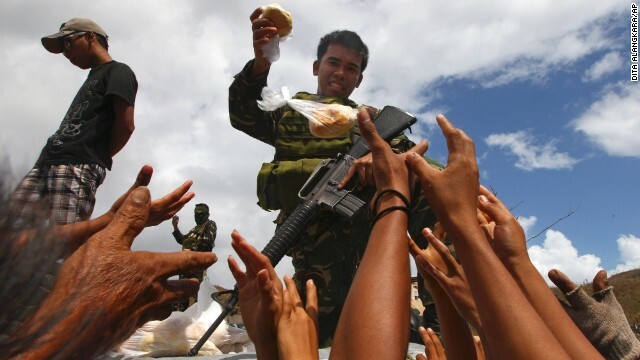 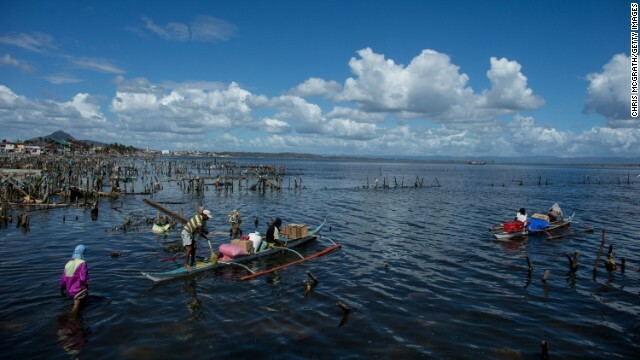 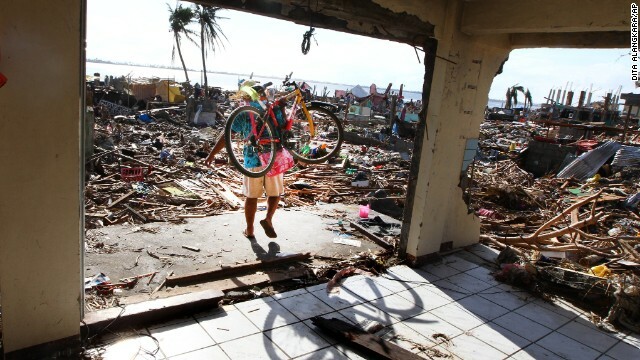 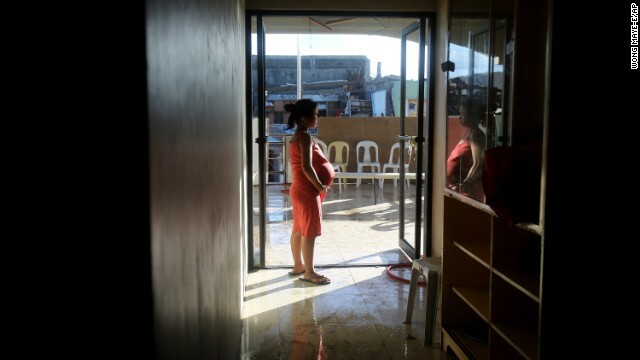 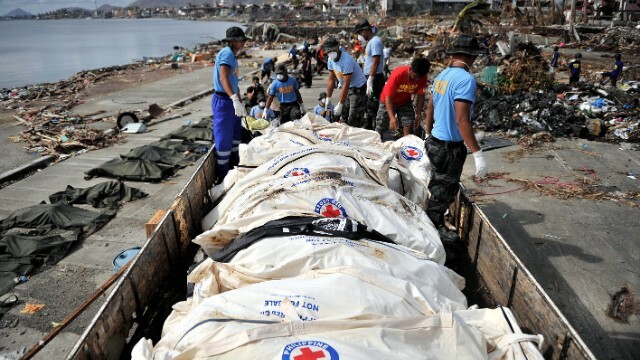 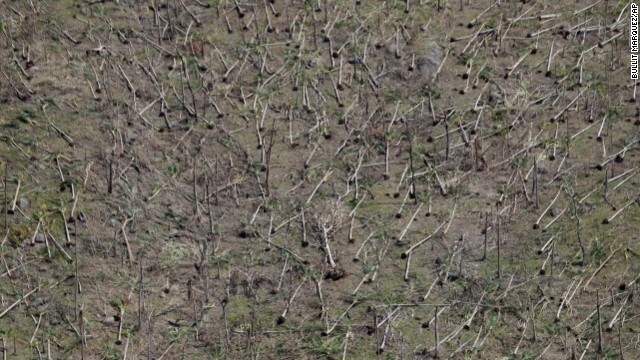 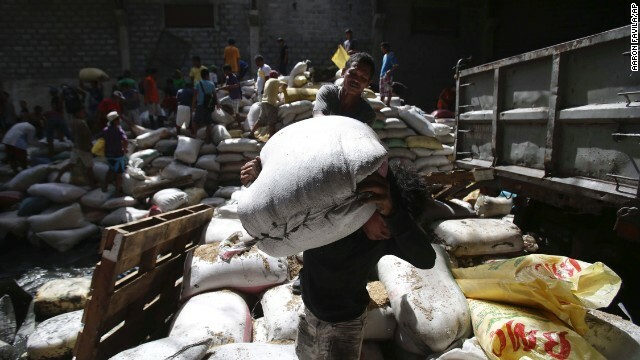 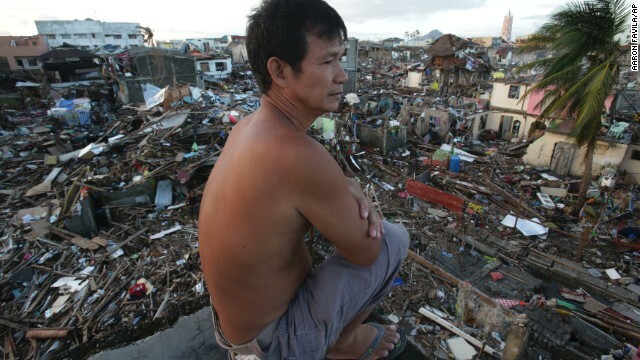 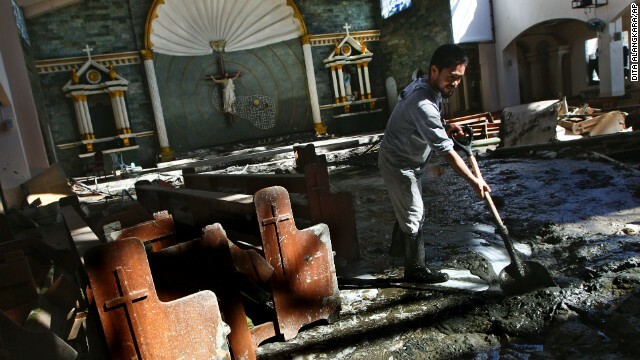 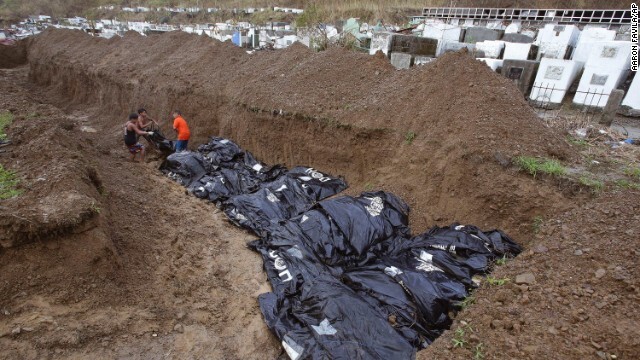 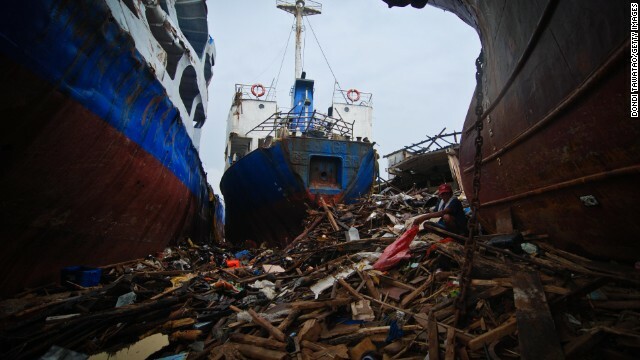 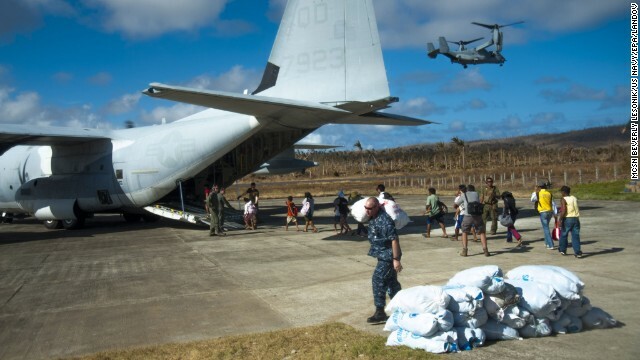 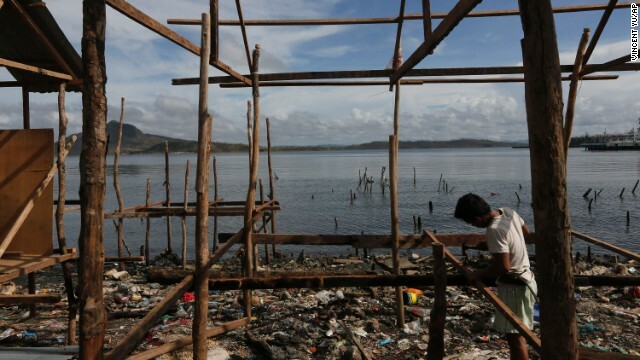 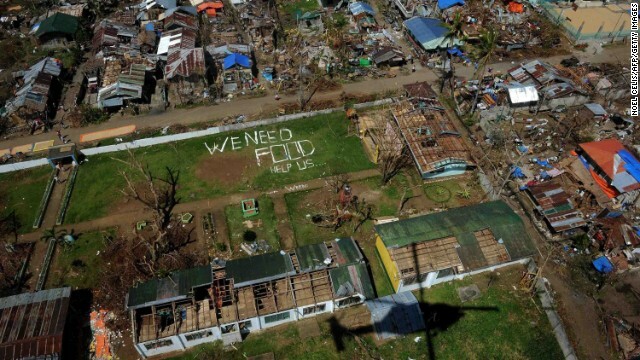 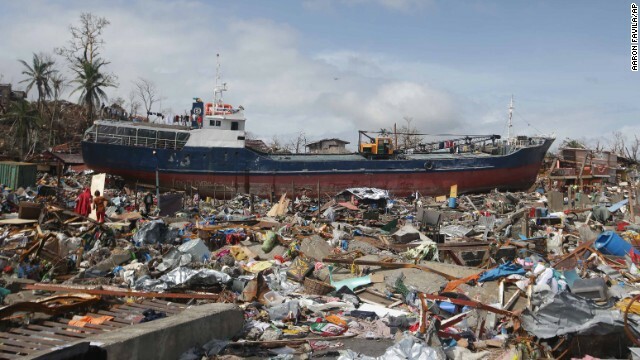 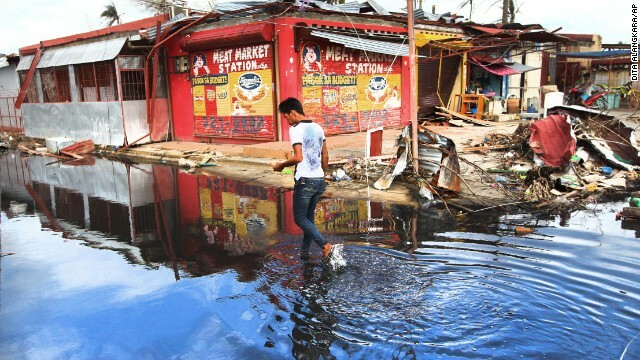 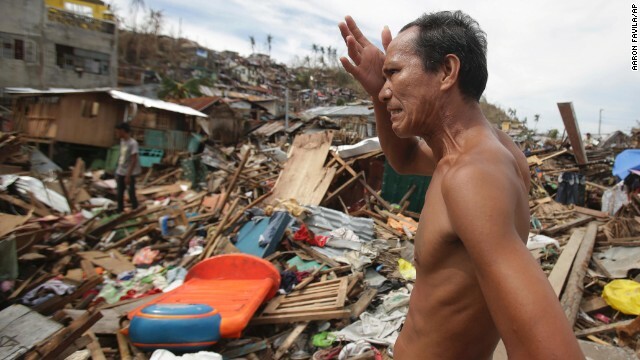 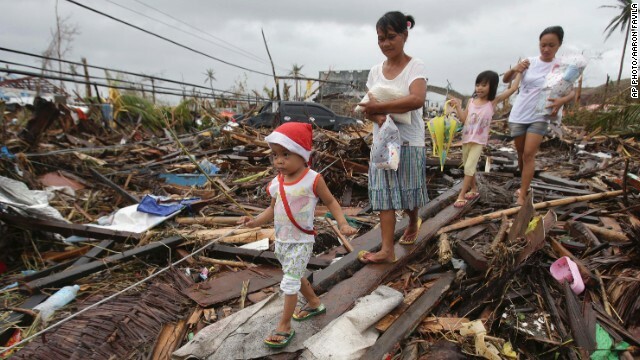 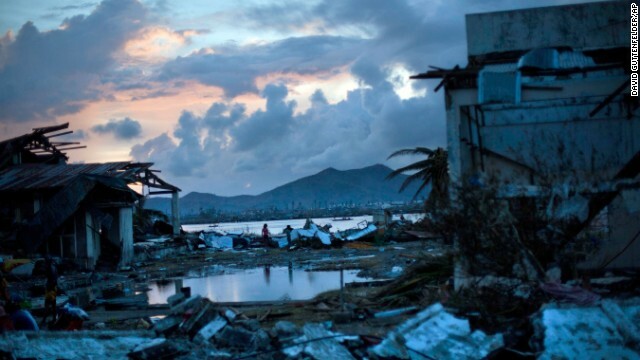 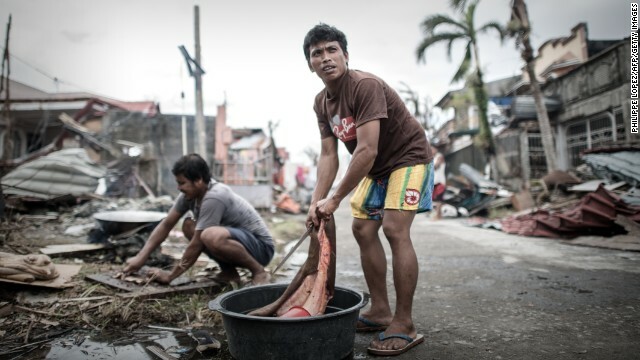 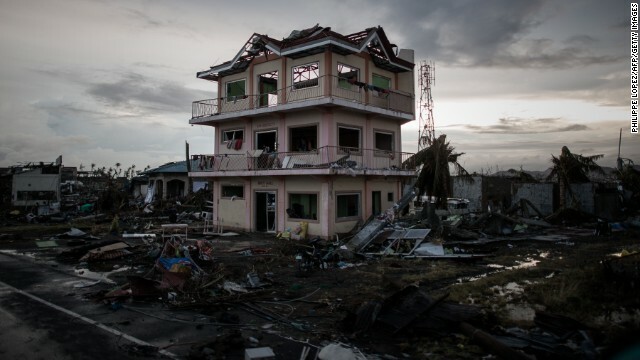 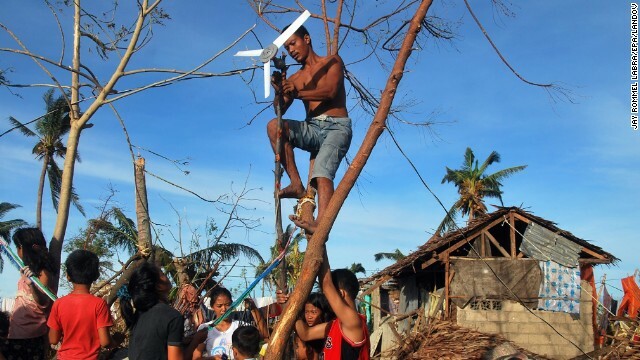 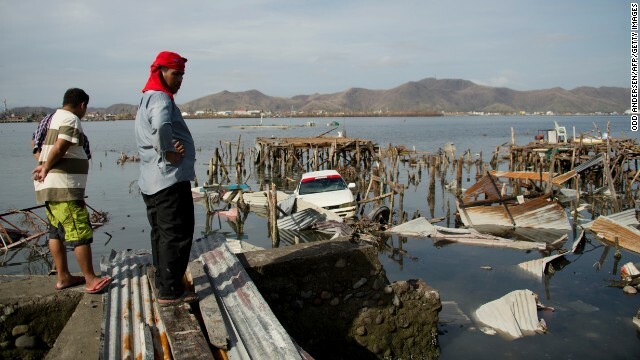 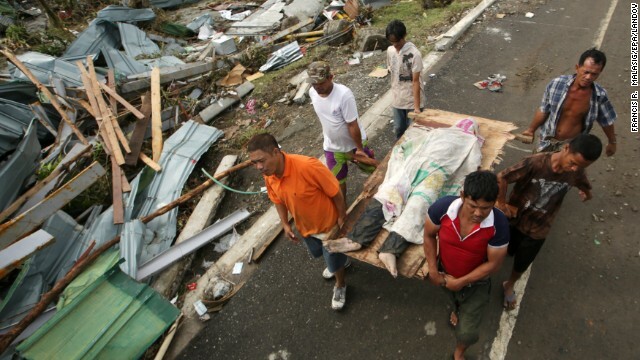 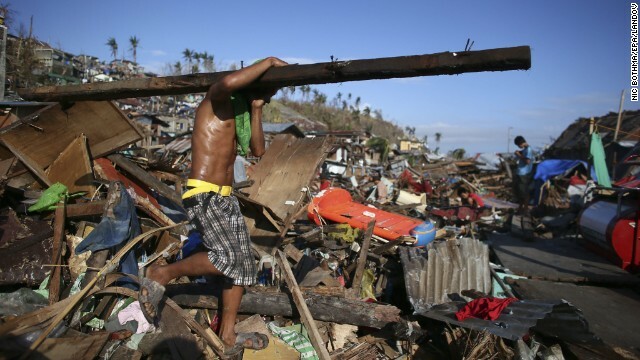 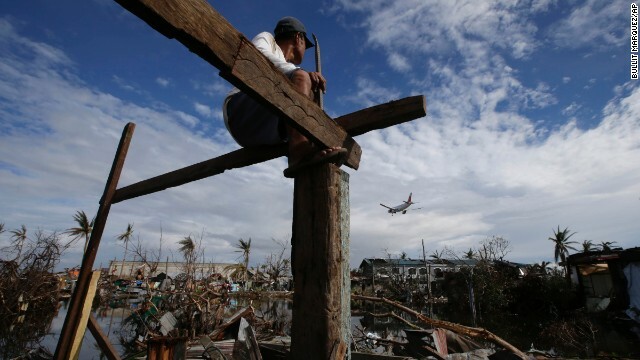 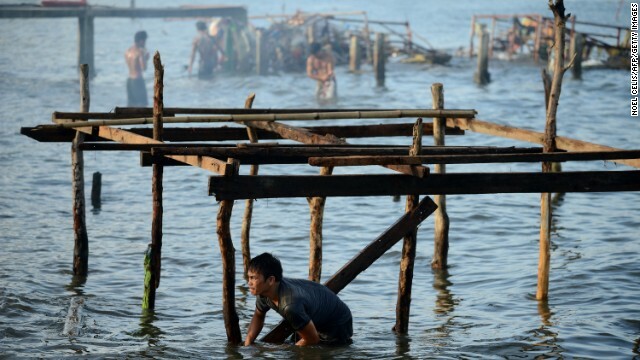 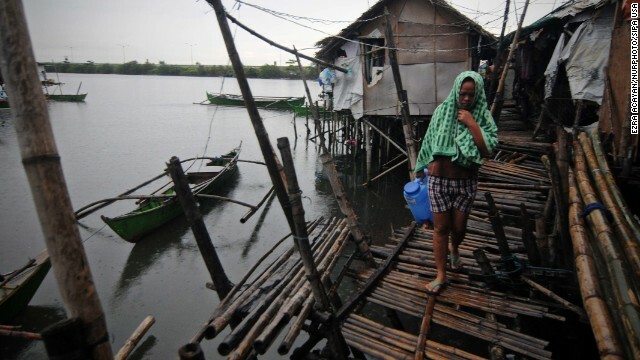 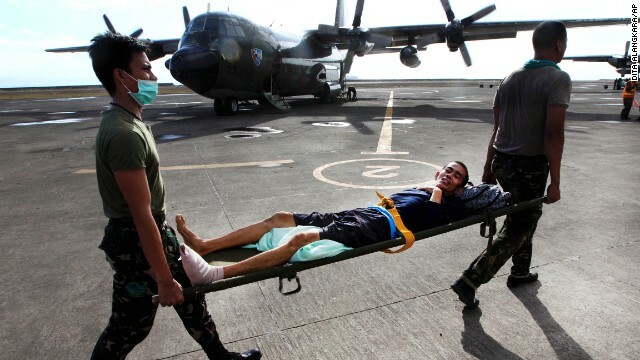 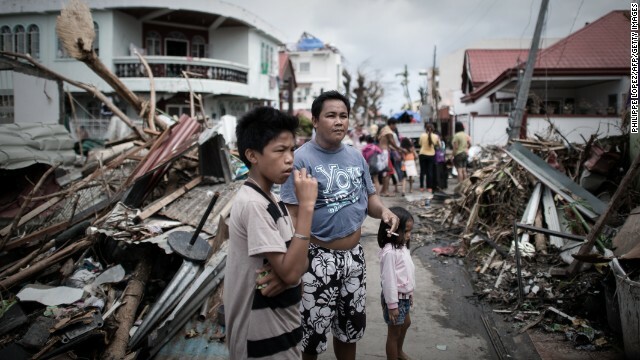 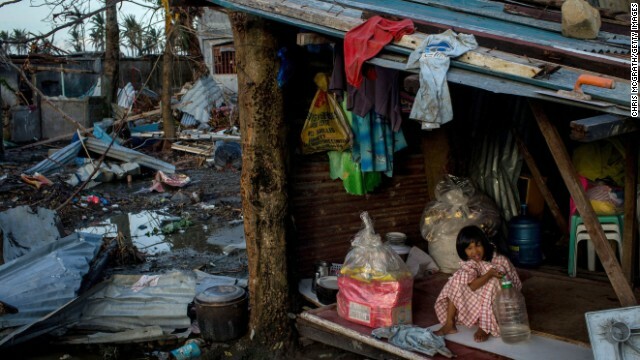 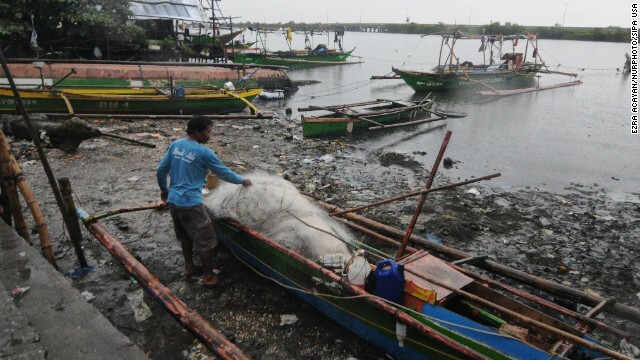 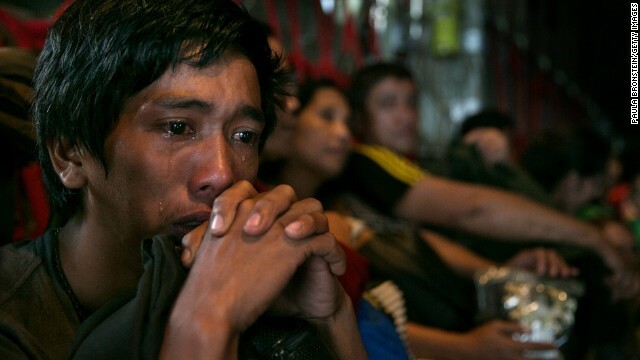 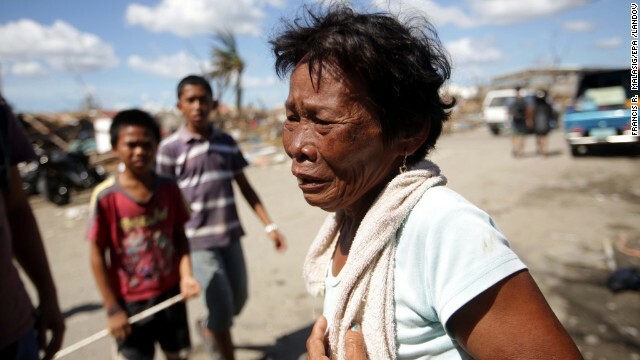 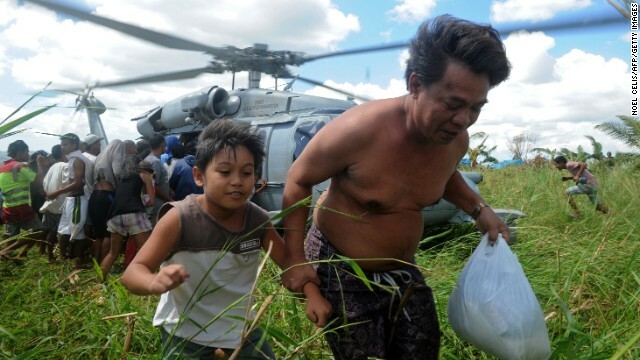 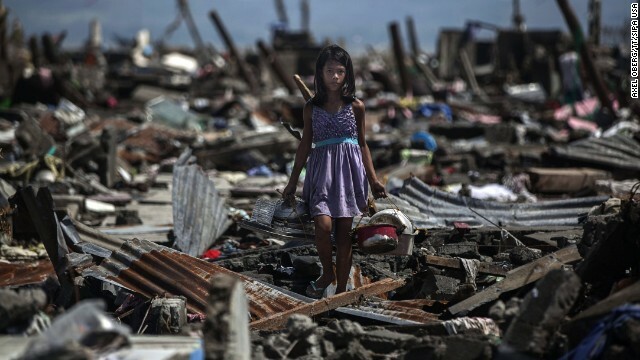 In December, Typhoon Bopha wreaked widespread devastation on the southern Philippine island of Mindanao. 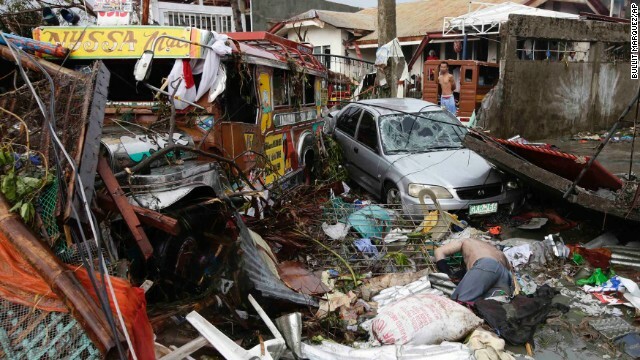 The storm, the most powerful to hit the country that year, is estimated to have killed as many as 1,900 people. 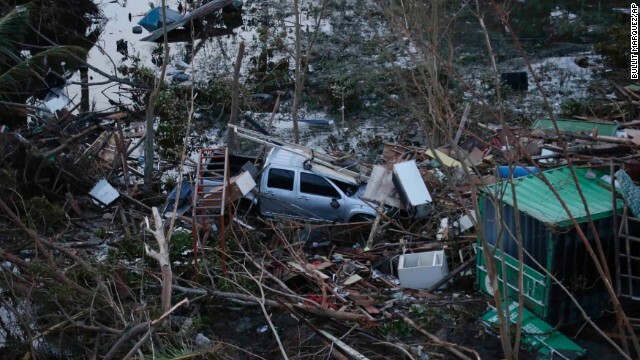 CNN's Aliza Kassim, Karen Smith, Elwyn Lopez, Judy Kwon, Taylor Ward, Brandon Miller, Ivan Cabrera and Mari Ramos contributed to this report.